My husband and I are from Rio de Janeiro, Brazil. Our first child was born there and lived there until she turned two months old, when we moved abroad. Rio is a popular destination for tourists, who come for many different reasons. But I would say the main reason behind their visit is perceiving happiness, whatever happiness means to them. It could mean taking part in the famous parade (Carnaval), visiting beautiful sandy beaches or enjoying the juicy nightlife. In fact, I would dare to say happiness is a philosophy of life for cariocas (name given to people born in Rio). No matter what is going on, there is always a reason to celebrate. Even though this is wonderful for people to live well, it also has a disadvantage in terms of the city being taken care of. Since cariocas always seem happy, the government may do things that are not for the city’s best interest but most residents don’t really seem to care or even try to make themselves heard to turn things around. With that, the city suffers a lot, since there is no vision or big goal to make it cleaner, safer, more organized, etc. Cariocas seem to live in the moment, and the city goes along. What I miss the most about my hometown: My family, my friends, and the beautiful beaches. What I do not miss at all: Violence, traffic jams, lack of love and care for the city from some residents (usually the ones who did not get any education for one reason or another). I would definitely move back if I did not have kids. Maybe living in Rio again in my future, once my kids are off to their own houses. I recommend you visit Rio at least once. Even though people are very friendly there, it would be best if you knew a resident who would give you some tips on how to be street smart there or to avoid traffic jams. And if I am living there when you go, let me know and I will happily show you around. This entry was posted in Daily Tips and tagged lifestyle, multicultural families. Bookmark the permalink. Very interesting and inspiring, thanks for sharing, Thereza! 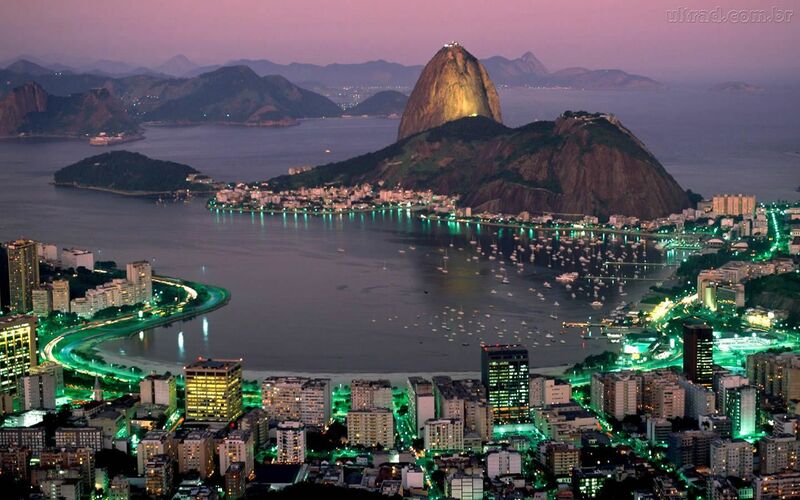 I’d love to visit Rio some day.. I lived in Rio for a few years before moving to Curitiba to bring up a family, so I know what you mean about it perhaps not being the best city in the world to have children. I had a wonderful time there and loved every minute, so there are times that I really do miss it. The only thing I would disagree with in your article is that even people who supposedly have a great level of education ignore the needs of their city. You are right, Stephen, even highly educated people may choose not to care for the city; that’s why I wrote “usually” the ones not educated because it is not limited to those without education, unfortunately. I sincerely hope this can be turned around somehow, sooner than later. Funny to hear the flip side of finding happiness in the moment. There are definitely some things in this world worth being unhappy about, and if that’s the first step to change, then unhappiness doesn’t seem like such a bad thing. What a twist, huh? It’s all a matter of perspective. I hope to visit someday, with my family! Our girls are now 10 and 12, maybe in a couple of years from now. Do you think teenagers would enjoy the city? Hi Michelle! There are many attractions in Rio for all ages! People usually love Rio, its beauty and vibrancy. Go with an open mind and you (including the teens) will find many enjoyable things.